Whether it comes to us covered in fur or feathers, the meat we hunters covet is a valuable commodity. Even a deer killed on an inexpensive resident license out the hunter's back door is worth more than any store-bought beef, as there's no way to put a price tag on the satisfaction of providing a family with clean, natural meat. 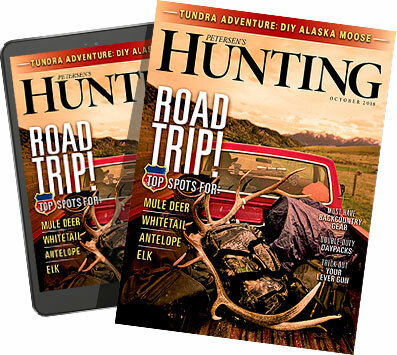 Once you consider many us travel out-of-state to hunt and often invest in the latest, greatest gear, the real cost becomes virtually uncountable. Preserving that investment is of the utmost importance. Hunters who shoot several deer each season, or tag an elk or moose every year, end up with no small amount of meat to freeze for future use. But just how far in the future can that cache last? Great question, and one that's not so easy to answer as there are a lot of variables when it comes to ensuring your game meat tastes fresh right out of the freezer. How long can you freeze meat is a common question among sportsmen. Before meat makes it to the deep freeze, it faces the threat of bacteria. The growth of these pathogens slows at temperatures below 40 degrees and all but stop below freezing. To get the best possible taste at the table, it's important to cool your game quickly. Once the animal is field dressed, the internal temperature needs to start dropping as soon as possible. A walk-in freezer is a luxury most hunters don't have, but birds and small game can go in a cooler or fridge. Big-game should be hung in cool, breezy place, or quartered and placed in cooler of ice. The next step, aging, is lengthy discussion altogether, so let's save that for another time and go right to the packing part of the process. At this point, it's surprisingly easy to ruin good game meat. The term haste makes waste comes to mind here as a hurried and harried hunter is apt to speed through the processing job. Same goes for a paid processer facing the meat of the season and stack of critters to cut in a short amount of time. In both situations, a bad packaging job — either wrapped or vacuum sealed — starts an almost instant deterioration in the quality of the cut inside. Good preparation is the most important part of freezing meat. In the freezer, the number one enemy of meat is cold air. We've all heard the term freezer burn, and it's easy to think "how can something in the freezer get burned?" Technically, meat that's exposed to cold, dry air for an extended period of time isn't burned. It's actually dehydrated and oxidized, as the water molecules within the meat find their way to the surface where they form ice crystals. Even if there aren't actual frost crystals visible, freezer burn is still obvious. You'll notice it right away by the patchy whitish-gray areas on an otherwise fine-looking cut of meat. The farther the temperate drops below 32 degrees the drier the air becomes. Cold, dry air dehydrates meat and the longer it stays in contact with it, the more the meat deteriorates. One of the best ways to prevent exposure to cold, dry air is by vacuuming all the air out of the storage package and sealing out the elements. The best vacuum sealers, like the Cabela's Commercial-Grade models and the Weston Pro Series, not only remove the air from the bag, but also create a reliable seal. If you can afford it, a chamber vacuum sealer works best, eliminating more than 90 percent of the air. It also helps to use the best quality vac-seal bags you can find. The thicker they are the better they stand up to punctures that can happen when stacked among other hard-frozen items in the freezer, or during transport home. So, back to the original question about how long can you freeze meat, the answer, honestly, is virtually forever. That said, even properly packaged game meat can deteriorate over time. A five-year-old roast might be still edible, but it's far from the quality it was when it went in. As a rule, the larger the cut, the longer it retains its original flavor and texture in the freezer. Roasts and thick-cut steaks sealed under vacuum are generally still great after one year. Thinner cuts lose their flavor faster, so try to use chops by the six-month mark. By its nature, ground meat traps a lot of air within the individual fibers, so its susceptible to going sour quickly. Eat it first. Game birds, both upland and waterfowl, also deteriorate a bit faster, so plan on eating them within four to six months. Freezer burn can be a problem, but it doesn't mean your meat is wasted. Any meat that slides past these best-if-used-by dates aren't necessarily inedible. If looks good and still smells okay, try a small bite. Freezer burned meat isn't dangerous to eat, but it is disgusting. The burned portion will have a dull taste and dry, leathery texture — kind of like mushy, bland beef jerky. However, in all but the most extreme cases you can still save a cut that has been burned. Simply take a sharp knife and shave off any areas that are discolored and discard them. Then you can proceed with cooking as planned and your friends and family will be none the wiser. There are 365 days between one opening day and the next, and enjoying the fruits (or meats, as it were) of our fun means caring for an animal from the time of the shot until it reaches the fork. With the right steps and a deep freezer, hunters can celebrate the eve of opening day with an elk steak from last season that still tastes fresh from the field.